Montebello Rockfest is gearing up to take over the tiny Quebec town for its 13th year this June, and ahead of time, organizers have given fans a look at some of the metal acts that will be on hand for the festivities. 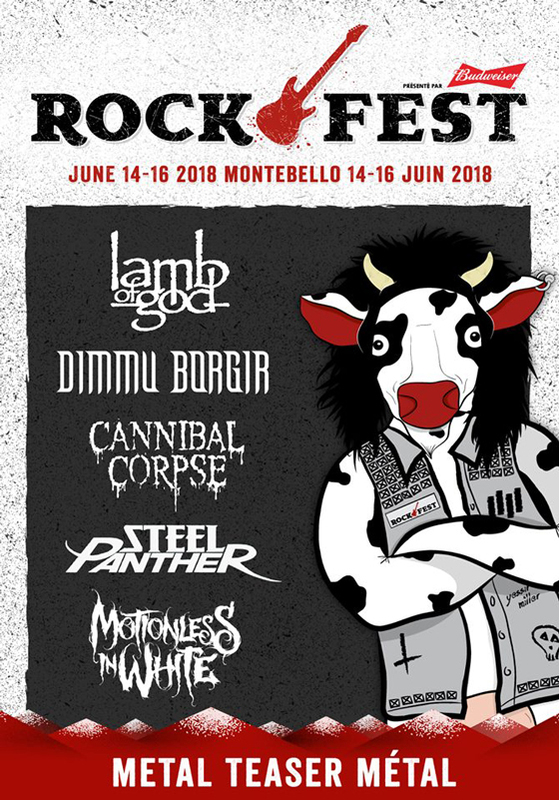 The festival, taking place June 14 to 16 in Montebello, will feature Lamb of God, Dimmu Borgir, Cannibal Corpse, Steel Panther and Motionless in White. Dimmu Borgir's appearance marks the band's first performance on Canadian soil in eight years. Organizers noted that "this is just the tip of the iceberg," promising that a similar teaser reveal for punk bands would arrive soon. Montebello Rockfest's 2017 edition featured performances by Queens of the Stone Age, Iggy Pop, Wu-Tang Clan, At the Drive-In and more.